A 13 storey office building (130,000 ft2) over a two-level basement car park (71 spaces). 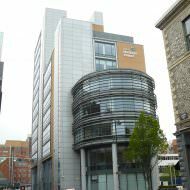 The building was developed between March 2004 and September 2005 by McAleer & Rushe who entered into a 25 year PFI arrangement with Invest NI. 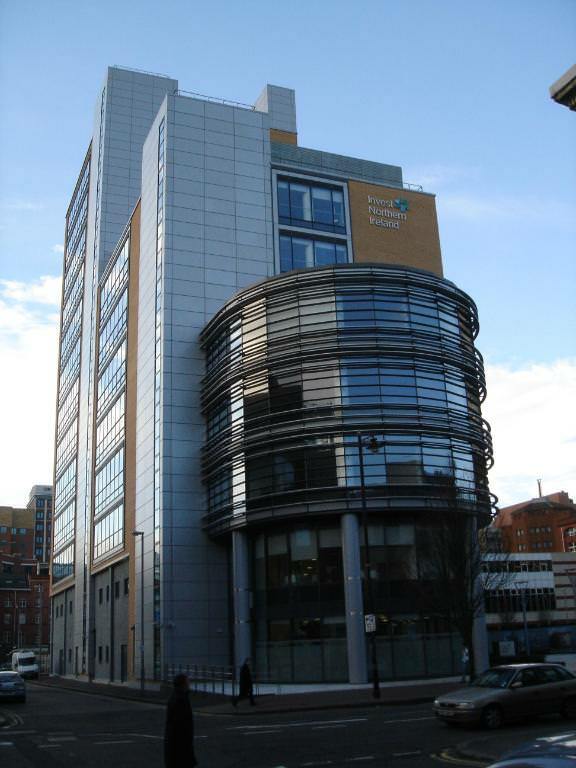 Invest NI occupy the lower eight floors of the building and the Law Commission occupy a further 5,866 ft2 within the building. In November 2012 the building was placed on the market by McAleer & Rushe. 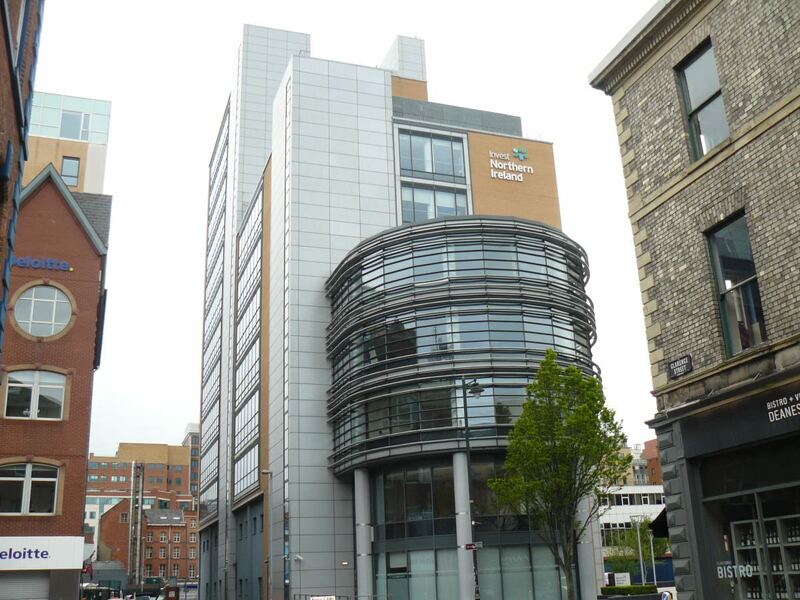 Invest NI purchased the building in July 2013 for £17m and also assumed the £22m debt as part of the PFI structure, making the total cost £39m. The transaction was facilitated by NAMA after it absorbed loans held by McAleer & Rushe. Invest NI confirmed in July 2013 that, at the request of the Department of Finance and Personnel and the Strategic Investment Board, it had purchased Bedford Street Developments to acquire ownership of 1 Bedford Square. 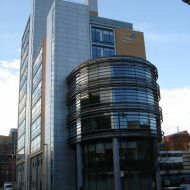 1 Bedford Square (Linum Square) has received a number of awards, including; Royal Society of Ulster Architects – Best Large Building 2007; Construction Employers Federation – Best Large Building 2007, and; Belfast Telegraph Awards – Best Public Sector Project 2007.